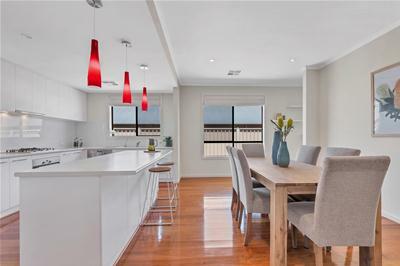 Positioned in the exclusive estate of The Settlement Golden Grove is this quality built family home within walking distance to The Stables Shopping Complex. 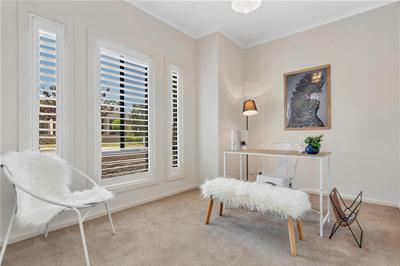 A fabulous option for empty nesters, executives or young families to enjoy the convenience of this popular locale. 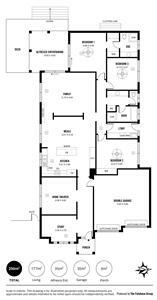 Immaculate throughout the versatile floor plan offers three bedrooms plus study or potential fourth bedroom. 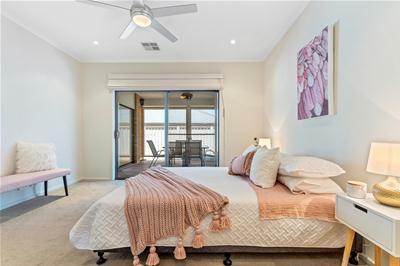 The Master bedroom features a superb ensuite, walk in robe and direct access to the Alfresco area, bedroom two has built in robes and all bedrooms are serviced by a sparkling three way main bathroom. 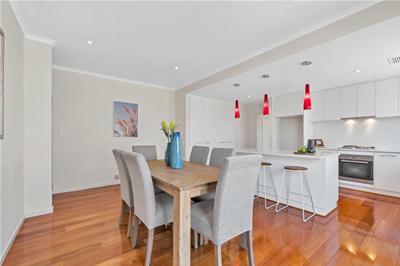 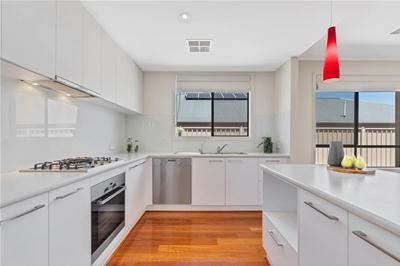 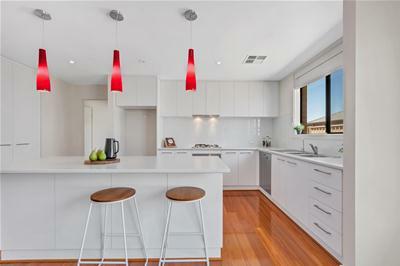 Centrally located the modern white kitchen is fitted with Miele appliances, including dishwasher, ample cupboard space and an island bench with feature pendant lighting. 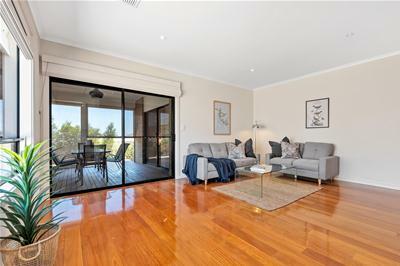 The multiple living areas comprise of separate lounge, casual meals, study and generous family room that opens up to the sensational Alfresco entertaining area. 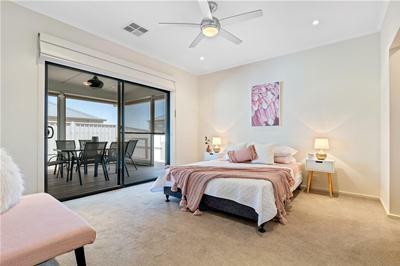 Other features include absolutely stunning timber floorboards, fresh neutral decor, quality fixtures and fittings, plantation shutters to the study, downlights, ceiling fans, linen cupboards and zoned ducted reverse cycle air conditioning for all year round comfort. 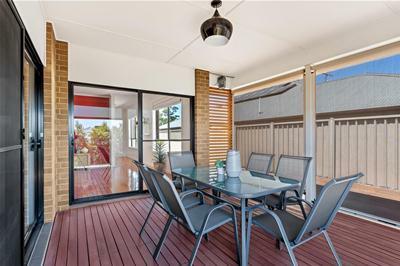 Outside offers a fully decked undercover entertaining area with cafe blinds, double driveway that leads to a good sized double garage with panel lift doors and secure valuable internal access. 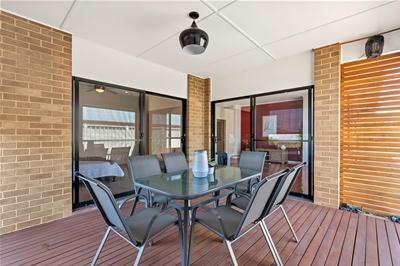 Attractive well established low maintenance gardens all set on an approx. 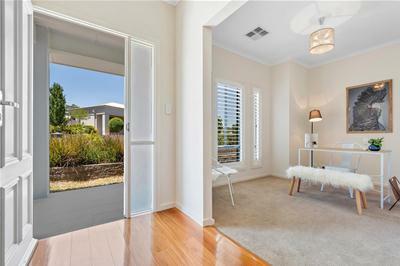 450sqm allotment complete this great family package. 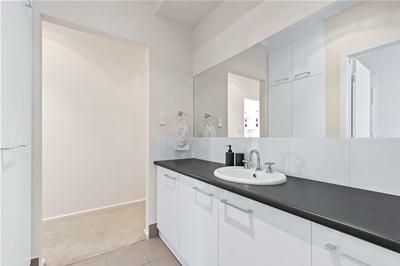 Within walking distance to The Stables Shopping Centre and public transport. 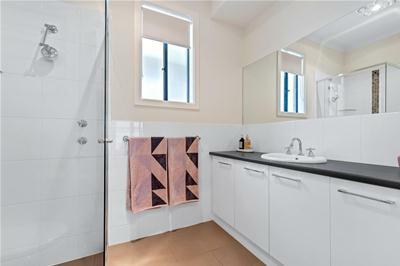 Close to local shops, Greenwith Primary, Our Lady of Hope, Golden Grove Primary School, Pedare Junior School. 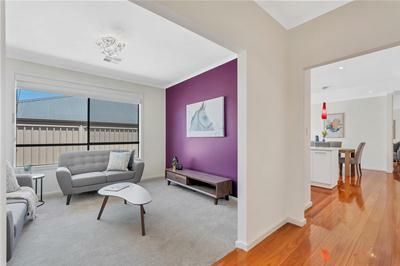 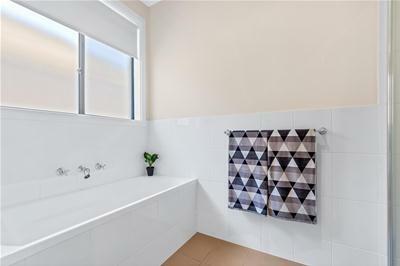 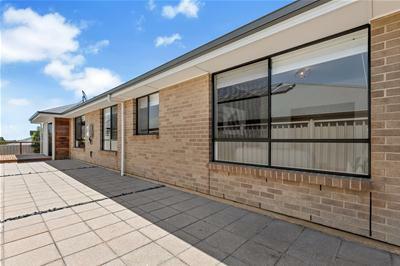 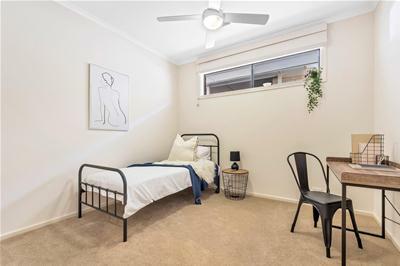 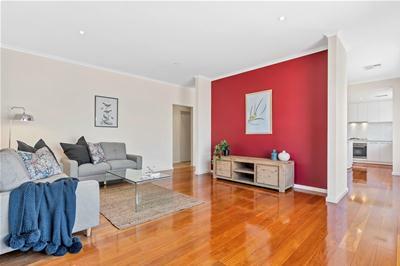 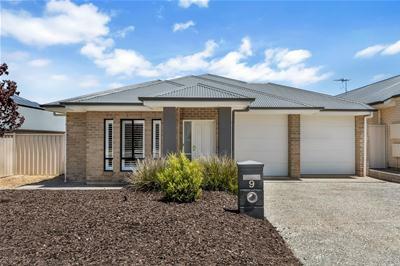 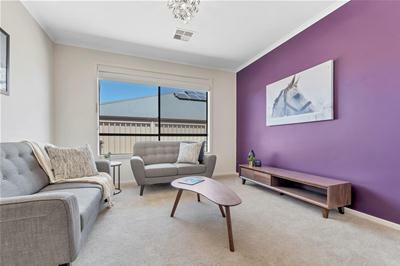 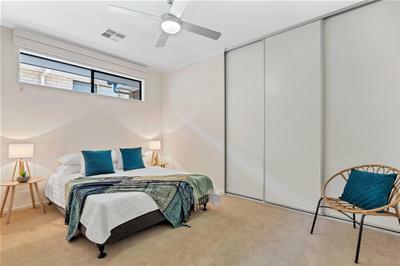 Located minutes to Packing Shed Lake, Golden Grove High, Pedare College, Gleeson College and the Golden Grove Village Shopping Centre with an array of variety shops and restaurants.